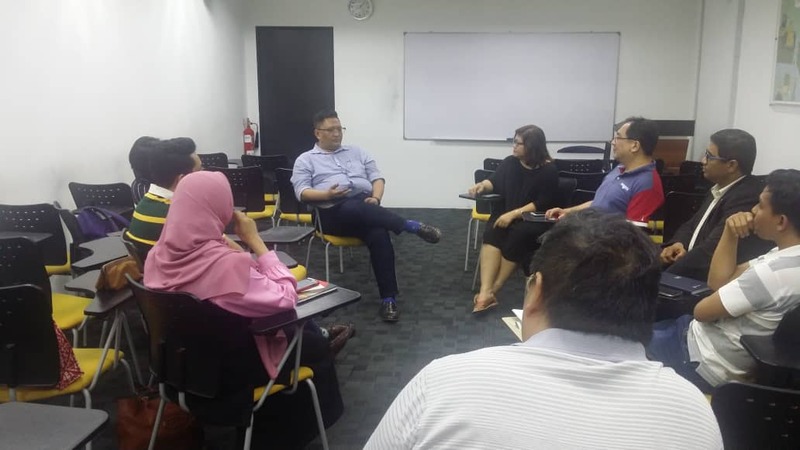 ODNM held their monthly sharing session on Wednesday, 9 January 2019 at BAC’s KL Campus. The topic of discussion was Proactive Communication for Organizational Development Impact conducted Mr Adit Rahim, the Director of Client Services Strategic Communications and Management Consultancy of an international PR firm. The session was facilitated by Isaac Peter Selvaraj, founder of ODNM. The 12 participants who attended the session were briefed on the difference between sustaining old customers by engaging in proactive communication and getting new customers to the company. According to Mr Adit, the mere act of generating a new customer is about 5 times more expensive than maintaining an existing customer. He then further highlighted the benefits of proactive communication. A main benefit is trust; when you use proactive communication to share information with your customers about any problem faced, you indirectly display a sense of honesty and transparency that shows how your organisation deals with adversity. These key values are welcomed by the customers. Open, honest, proactive communication fuels a trustworthy relationship. If customers trust a company, then they will continually reward you with their business. The Make It Right Movement (MIRM) supported the session by providing assistance in booking the venue and provision of meals. ODNM is a community of organisation development practitioners. Their vision is to promote the mindset of Organisation Development in Malaysia.